An eloquent if unremarkable exposition until you reach the penultimate line. Sidi Bel Abbès is an Algerian city famous as the burial place of the eponymous Muslim marabout (holy man), and as the base for the French Foreign Legion in the bloody Algerian war of independence. 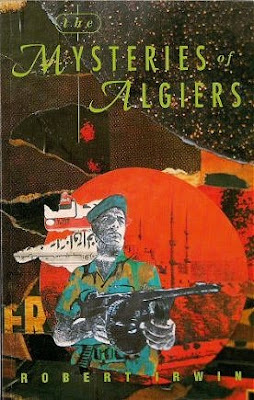 The passage describes a fictitious Ring cycle in Algiers opera house in 1959 and comes from Robert Irwin's novel The Mysteries of Algiers. Irwin himself became a Sufi adept, and deserves a place in literary history if only for the opening line of his autobiographical Memoirs of a Dervish - “It was in my first year at Oxford that I decided I wanted to become a Muslim saint”. That memoir is also noteworthy for drawing attention to the links between Wagner and the transitional state between sleep and wakefulness known as hypnagogia, a link which prompted me to pose the question Was Wagner a Sufi? The Algerian war of independence was a tripartite battle between between the separatist Front de Libération Nationale (FLN), the French military and colonial paramilitaries during which hundreds of thousands died (exact numbers are disputed), including many innocent civilians. It prompted an exodus of around two million white French settlers in one of the largest displacements of humanity in the post-Second World War period, and its religious sub-agenda is evidenced by the Ketchaoua Mosque in Algiers which was built in 1612, was converted by the French in 1845 to the Cathedral of St Philippe, and became a mosque again in 1962 when the FLN signed a peace treaty with France. 2012 year was the fiftieth anniversary of the end of the Algerian war of independence. But outside France there has been little interest in the anniversary, despite the link between the failed colonial ambitions of Western European countries in North Africa and the topical Arab Spring. 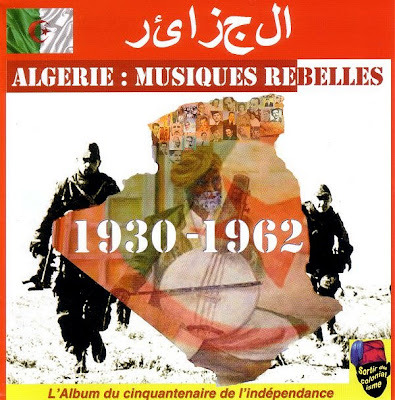 In France things are rather different, and my header image shows the newly released 4 CD compilation Algerie: Musiques rebelles 1930-1962 (Algeria : Rebel Music). This ranges across Arab-Andalusian, raï, Kabyle and chaabi music, and its co-production with activist movement Sortir du Colonialism (Retreat of Colonialism) bears testimony to Robert Irwin's message that there is a price for everything. Also noteworthy among French releases is the 2 CD compilation Il était une fois la musique Kabyle seen below. 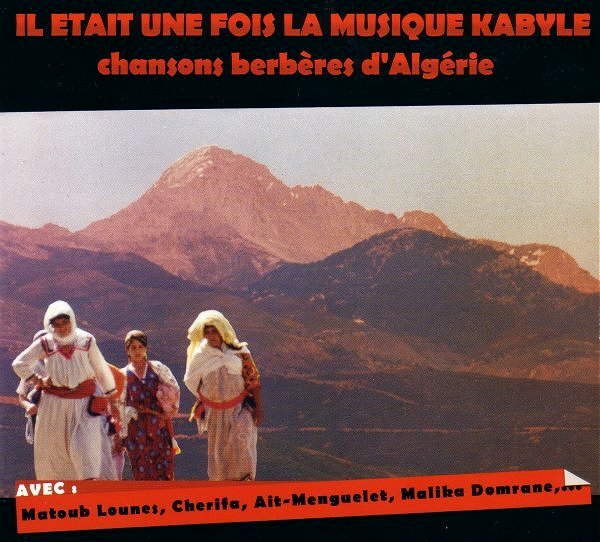 This gives a valuable overview of popular Algerian Berber music and includes a track by Cherifa Kersit who featured in my post Dvorak will never sound the same. Last year I wrote about the forgotten war of independence in Music and politics in the garden of Allah, and in October this year French President François Hollande raised the profile of the conflict by ending official denials that the Parisian police had massacred Algerian pro-independence protesters in 1961, and went on to pay homage to the victims. The exact number of Algerians who died in the protest is unknown; official figures put it at just three, unofficial estimates are as high as two hundred. Hollande, who has also apologized for the “vel d’Hiv” round-up of Jews in Paris in 1942, has stated that “There cannot be, and there will not be lost memory under the Republic”. The notion that society cannot tolerate lost memory of uncomfortable past events is gathering momentum, and has resulted in moving visual art commissions such as the Abolition of Slavery Memorial in Nantes, France and the Walter Benjamin memorial in Portbou, Spain. But it is a movement that classical music remains obstinately detached from, preferring instead to stay within its own comfort zone. The political comparisons you draw involve genocide and ethnic cleansing and I wonder what within the world of classical music you mean to allude to by this (perhaps a naive question, but I ask it purely out of curiosity...). The industry honouring victims we've seen relatively recently with the efforts of Michael Haas, though Taruskin (in his article 'The Golden Age of Kitsch') raises valid concerns about the desirability of commercial motives in all this, even if he does go for the lowest hanging fruit (Das Wunder der Heliane) to make his point, and elsewhere tries to have it both ways by acknowledging the heterogeneity of what the Third Reich labelled entartet and at the time judging and dismissing it all by the standards of Korngold, tarring in the opposite direction with the same brush he accuses Decca of wielding. I don't generally find myself in agreement with Taruskin but find his opening salvo on this worth contemplating: 'The record company's implied invitation to join in a chorus of ritual execration against the least risky of all the great Satans is, at best, a call to complacency. Worse, it smears issues of real moment - the social responsibility of artists, or the social value of high art - with a tar brush, and blunts criticisms of the works that it presents'. Thanks for that thoughtful comment Zwölftöner. My thoughts with reference to classical music were sparked by Britten's words "the composer’s duty, as a member of society, to speak to or for his fellow human beings”. Ah, now I see. I do think the topic of visual and musical memorials is a very interesting one. I can only speak of what I know best, so Vienna, where there has always been much foot-dragging on this (we are still without a memorial for Wehrmacht deserters, presently a topic of political discussion, and also for other oppressed or resistance groups which committed great acts of bravery during the Third Reich), and initially found it unusual, leaving aside the public expectation of some kind of marker - that the creation of objects, which after all have a permanence to them, is generally deemed safer here than commissioning music (which isn't done at all). But of course music is only ephemeral in quite a limited sense and commissions for permanent public artwork are more easily controlled, and too often watered down, whereas music is not so readily functional. There is in Vienna, for example, an unwritten understanding that commemorative artwork should not challenge the public - by that I don't mean provoke or offend - and so when we finally got a Holocaust memorial from Rachel Whiteread it was known, on the basis of a steady idiom and works like Ghost, exactly what we would get. Though that wasn't a process which ran entirely smoothly, in hindsight it seems something that might almost have been done by mail order (I should note here that most people do find the Whiteread memorial very moving). When art memorializes the victims of mass atrocities it is curious how the artist can be reduced almost to a redundant figure - which perhaps explains why these memorials produce so much bad art - and yet naturally we understand that such a creative task must be undertaken with some degree of sensitivity. The question is, how much do we trust artists themselves to make that judgement? Your Britten quotation is very interesting in this respect because of the flexibility it stakes out. To or for, indeed.